I’ve had some kind of needle in my hand since I was five years old. I started with an embroidery needle and floss. I’m sure my early stitches mimicked scratches on a hieroglyphic wall. As my eye-hand coordination improved, I took time to perfect my skills. 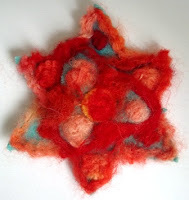 With practice and interest, I moved on to a quilting needle, sewing machine, crochet hook, latch hook, and a failed attempt at knitting needles. A few years ago, one of the professor’s in the art department at the local college offered a class on felting wool. I thought I’d give it a shot. 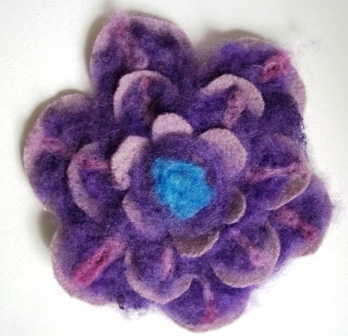 This class did not involve a needle, just the gentle motion of my hands in warm water and wet wool. I gave my best attempt to move the materials around in the water at a slow, easy pace. That lasted about ten minutes. My patience wore thin and so did the wool. I finished the project and then walked away. Not long ago, this same teacher offered a workshop on needle felting. Note the word needle. I loved it. Since then, I’ve created a few items myself and plan to make more. I guess I just needed a needle in my hand in order to create. I enjoy learning new crafts, but I’m limited on time. Finding a way to incorporate my new hobby into my life adds an avenue for creativity and relaxation. 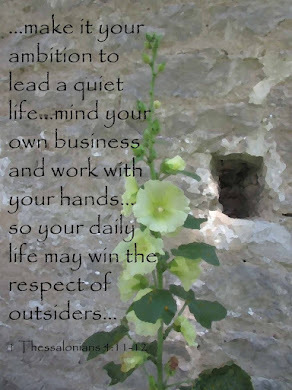 Do you have a creative outlet? What do you do to relax? 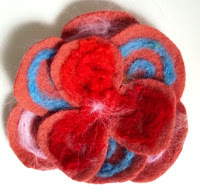 If you do needle felting do you have any tips to share? Heather’s life was secure, and she trusted that everything would be okay, until doctors diagnosed her husband with the rare disease, achalasia. As she clung to her faith, her husband reassured her of God’s continued care and prompted her to seek out the hope she knew she could find in God. 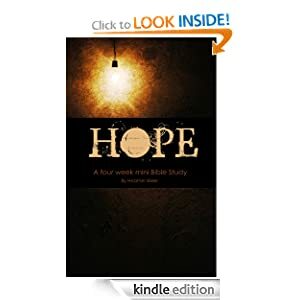 As a result, Heather created a four-week study on hope. In each study, she offers scripture and thoughts, plus life applications and discussion questions. Heather’s honest approach, spiritual insight, and conversational writing style welcomes readers to the joy of hope in Jesus. I recommend this Bible study to anyone who seeks spiritual renewal or a better understanding of the peace you find in God’s hope. Jessica MacAllister is content to run her business and raise her son all by herself. That is, until life’s turned upside down by the return of her son’s substance addicted father. Concerned about her beloved Uncle George, she heads to Santa Cruz, California to help him move and to avoid the man she dreads seeing. Widow, Evelyn Sweeney, wonders what happened to her first love. Should she try to find him? Or stay put and live out her life without knowing. Nick, a firefighter, enjoys his single life, but hopes to meet someone special someday. Sooner would be better than later. But before he can focus on himself, he needs to help a troubled friend. 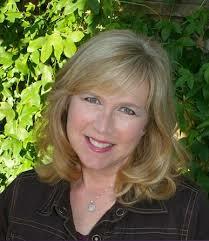 Like a fine weave, Sherry Kyle threads the stories of her characters together as they search for peace and love. Jessica, George, Evelyn, and Nick share more than one mysterious bond as they are drawn together. Through faith and hope, the characters struggle to seek God’s guidance and follow his path. characters who will steal your heart. This would be a great beach read as well as a good book for a book club. 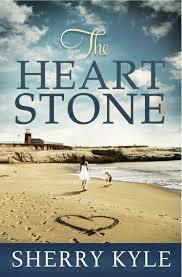 Anyone who enjoys women’s fiction, with a touch of romance, will enjoy the twists, turns, and tale of true love. My husband and I drove south to visit our youngest daughter. I enjoyed the area she lives in, including the local coffee shop. The Forest Coffeehouse, aptly named due its proximity to the Smokey Mountains, offered just about any caffeinated drink a soul might crave, including Snow Leopard, Coconut Chai, Mate' Latte', Dirty Dirt Black Cat Chai, plus several decaf delights. They served scones filled with fruit and lots of other treats. But, as much as I enjoyed the coffee, that’s not the best part of the adventure. I loved the atmosphere, laid back with a dose of ecstatic energy. Creativity and the desire to learn saturated the air. A man journaled, at a round table, beside the picture window. Students worked on laptops and studied for finals. A group planning the local Strawberry Festival gathered and tossed ideas around. They even reserved a spot to sell local crafters' wares. From the art of the barista making a drink to the inspirational juices that flowed from the customers, a trip to The Forest Coffeehouse injected me with a hearty dose of excitement to get back to editing my novel. Where do you go to plug in to creative juices?